Yesterday was my little boy’s 7th birthday. As per tradition in our house, I make whatever dinner and cake someone chooses for their birthday dinner. As expected my son chose Barbecue Pork Chops, it is a long time favorite of his. 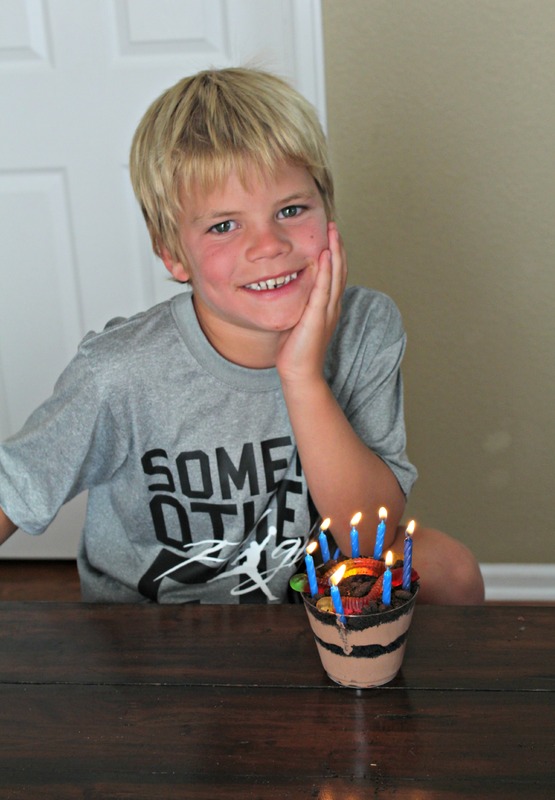 And instead of a traditional cake he chose to have Dirt and Worms for dessert. It was a surprise, I didn’t expect that choice. For his 4th birthday we had a little party with some close friends at the park and I made dirt and worms in a (clean) sand bucket and served it with the matching shovel. He randomly remembered that birthday party as we were talking about his past birthdays and excitedly chose Dirt and Worms again. We made it in individual cups this year, but this dessert is fun to serve in sand buckets, dump trucks, flower pots or in whatever you want. 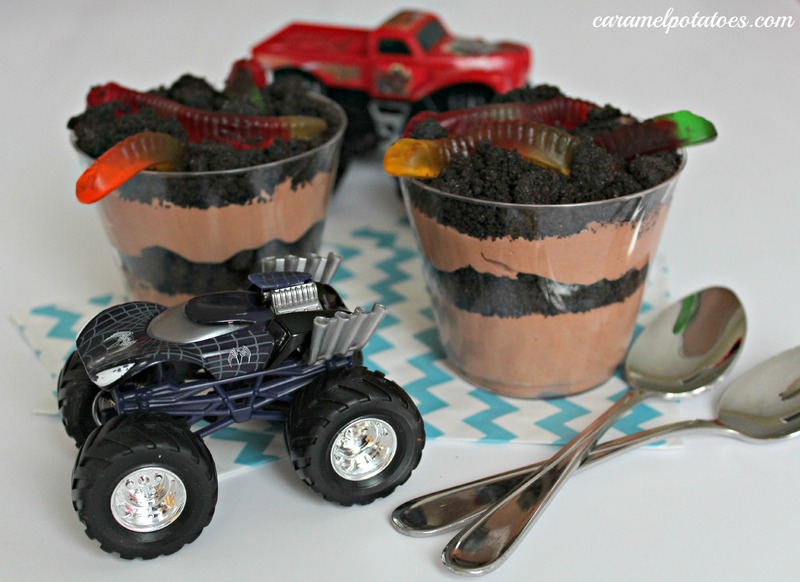 Kids and adults find Dirt and Worms Dessert to be a delicious treat. It is a great summertime dessert. Let the kid in you come out and eat a little dirt every now and then. Look how happy it made this little birthday boy. Either in one large serving bowl or individual cups, layer the pudding/cream cheese mixture and Oreo cookies. Garnish with gunny worms. Allow to set at least 1 hour in the refrigerator. Serve cold. *Recipe adapted from Taste of Home. We just call it dirt dessert. I prefer it without worms, but the kids love it. How many does the dirt and worms dessert serve?